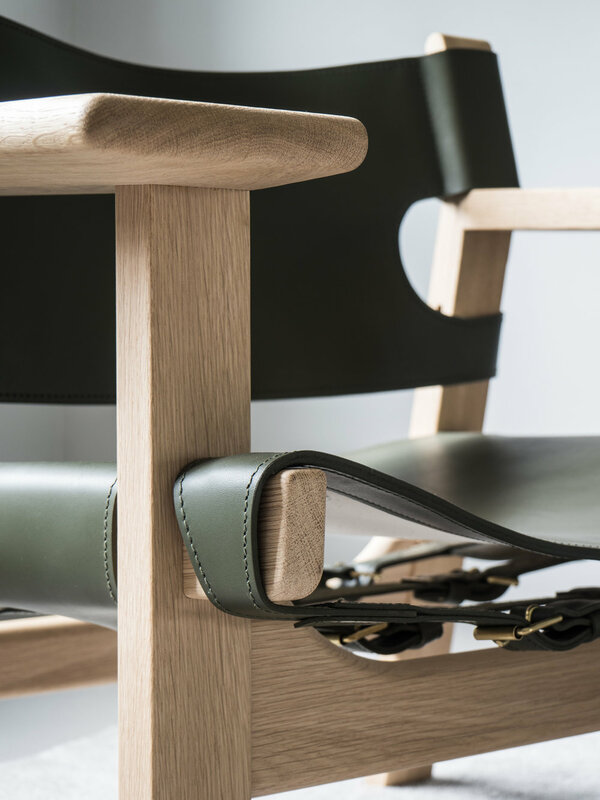 We’ve been working with Fredericia for quite some time now and we were very happy and honoured when they asked us to shoot this special edition of the Spanish chair. We love the craftmanship of this iconic chair very much. The leather and the wood fit perfectly together and the olive green colour gives it a more masculine look. 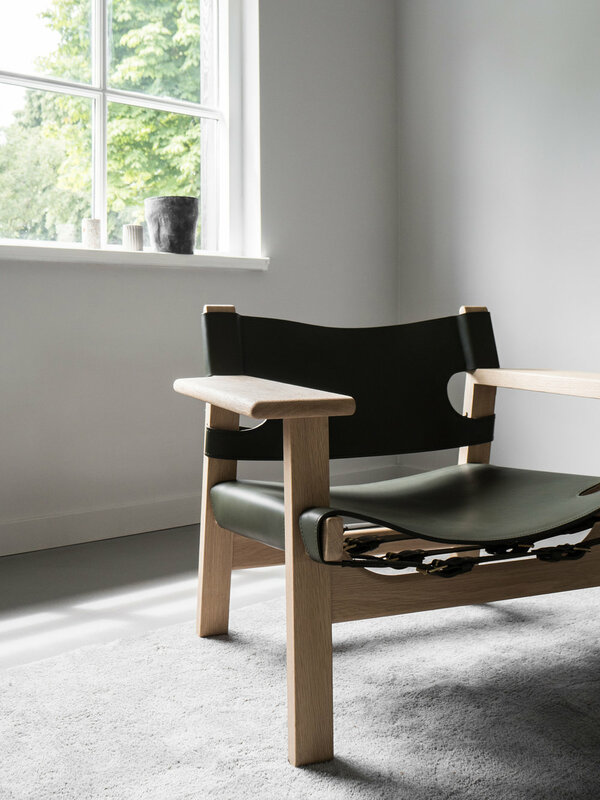 For the first time ever, the Spanish Chair is available in this modern mid-century colour and to celebrate this special anniversary, Fredericia invited Børge Mogensen’s grandson, renowned fashion photographer Rasmus Mogensen, to portrait himself with the masterpiece created by his granddad in 1958.